This is one of the Japanese all-terrain vehicles was coming from Nissan Motors flagship designed to compete with Toyota Land Cruiser for domestic and worldwide markets. 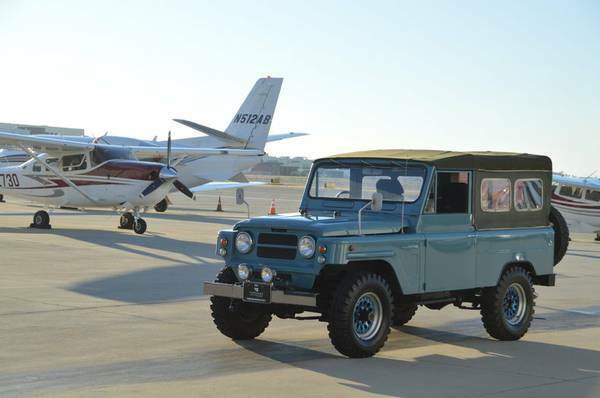 As shown here is late of the second generation Nissan Patrol fairly cool a long wheelbase well-known as G60 series released in 1980 being offered for sale by owner at Craigslist for $24995 located in Los Angeles, California. Interesting offer, is very rare vehicle especially in the US. The second generation Patrol was offered by Nissan to worldwide markets start from 60s to end of 70s, and US customers only from 1962 until 1969 the rest it very popular in Asutralia so believed it has a lot population on there today. But this not coming from Asutralia, it believed one JDM example was sold as the 1980 model year then exported to California since when? unrevealed. At that time Nissan Motors tried to make the feel of toughness inside and out more viscous like a workhorse, not like modern Patrol where luxury is a necessity. 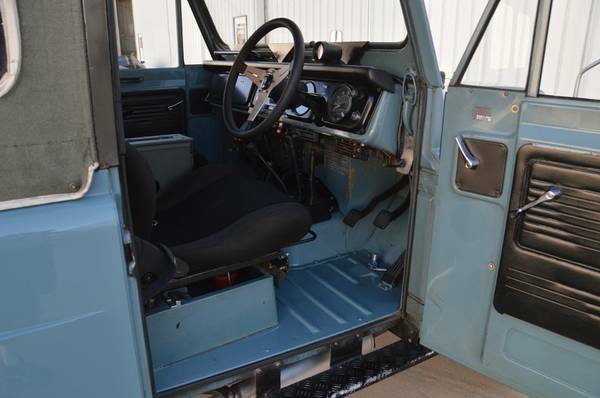 Same as mostly all-terrain vehicles on that time, the interior appear not wrapped up in its entirety, looks spartan with a good shape of course. However not all interior angles are represented by photo and hard to find imperfection from here, we believed all have been touched by renovation in totally such as a steering wheel and front seats are is newly parts, not original parts. No words about rebuilt in totally, only reveal maintenance and few newly parts was install in to it. 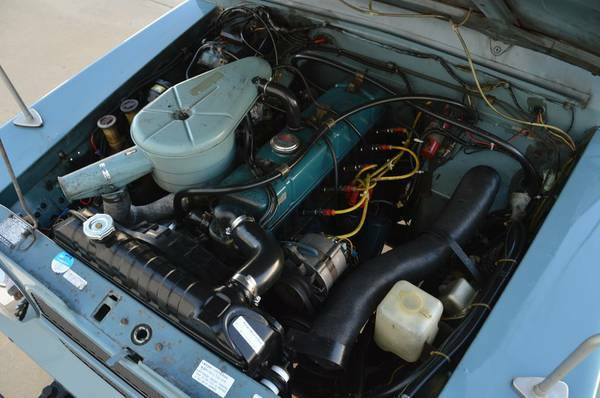 All Looks so clean and neat, not disturbing by cable clutter, the engine bay fully load by a 4.0 L P I6 (gas) engine were mated by 4-speed manual transmission with part-time four-wheel drive, make this Patrol quite promising, moreover the 65000 figure was shown at odometer. 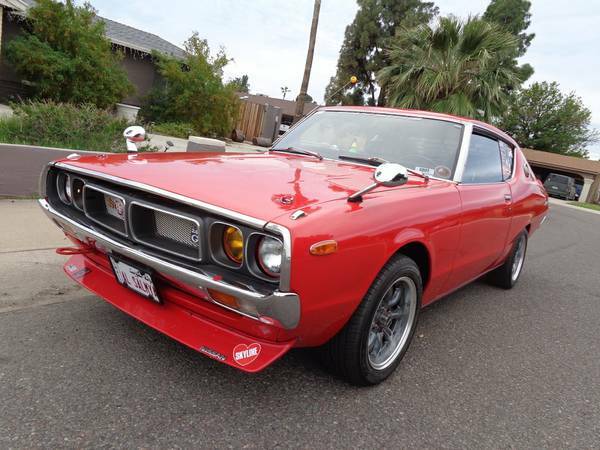 This interesting Japanese sport car was offered on 70s by Nissan Motors, it's second time of the coolest restoration of Nissan Skyline Kenmeri was shown in autorestorationice.com. This a real JDM car, very rare, never been sold in the U.S. come with Left Hand Drive format was legally import from Japan. This 1977 Nissan Skyline Kenmeri GT is the final model of its generation, has been totally restored since 2015 still awesome today proves well by photos. 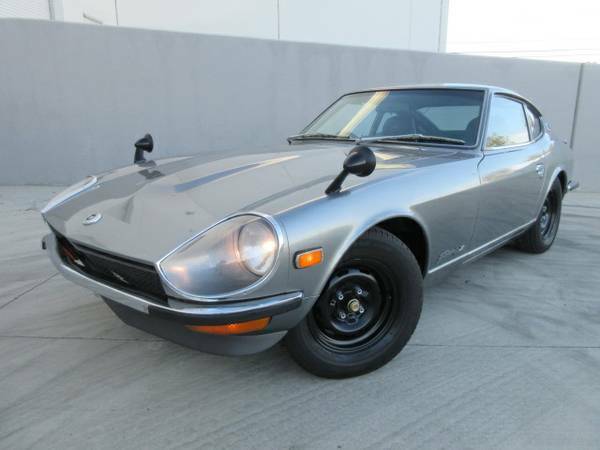 Powered by a younger 280ZX engine with tones of new parts make it very worthy to own. The car was listed on Craigslist in Phoenix, Arizona for $68000. Here's found a nice custom built based on the Japanese two-seat sports car that was manufactured by Nissan Motors. As shown here is early model of Nissan 350Z released in 2003 fairly cool coupe body has been fully custom and mod as a drift car. If you're watch and remember Tokyo Drift comes from a series of The Fast and the Furious movie, you should know and be familiar with this car, yeah this one of the car models was served as a mainstay for the main antagonist actor on that's movie. 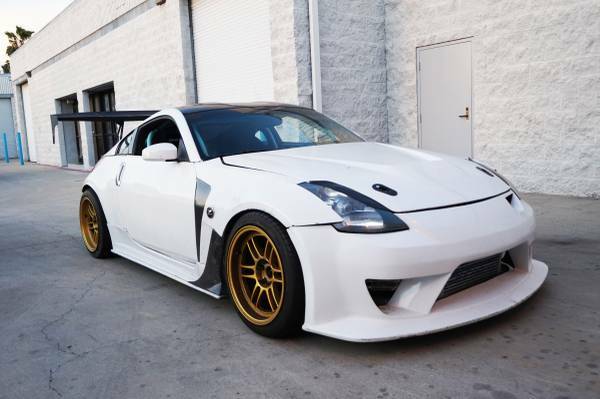 This 2003 Nissan 350Z has been seriously modified with has many upgrade and powered by a 165000 miles engine, is said ready on top competition. Found this one was posted about 14 days ago in Craigslist for $12000 located in Orange County and still online when we write here. Interior was upgraded, fitted a roll cage for more safety also has a customized lever to a drift competition aim. The appearance looks promising, materials all look has a good shape and the dash appears to be free of cracks. 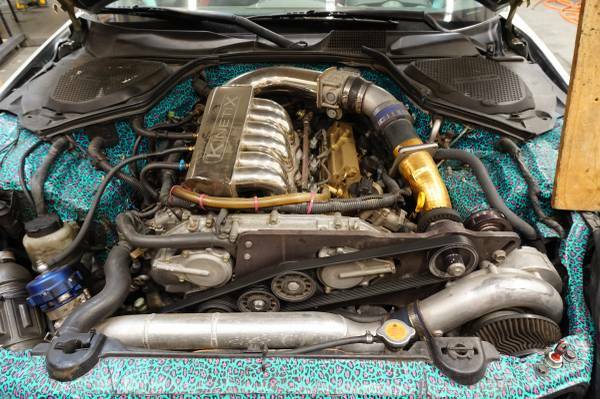 The engine bay filled by a 3.5 L V6 engine fitted a custom intake manifold by Kinetix Velocity and a supercharger kit by Vortech, the owner says it has been driven about 165k miles. Seems is strong and no issue was mentioned. We like with its performance today, especially with the tail, and we always like Japanese cars in custom, how about you? As always a closer inspection needed order to accurately condition. 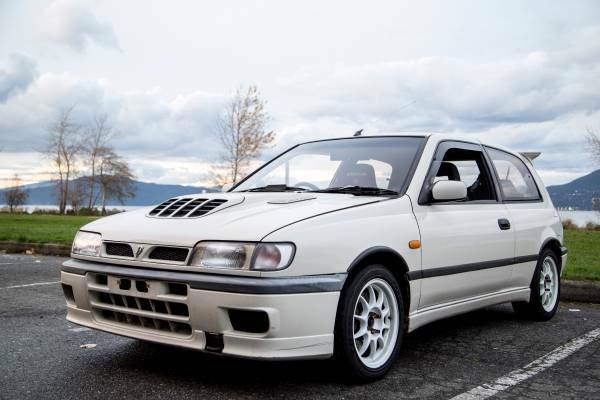 Here's hard to find is a rare car in US, 1991 Nissan Pulsar GTi-R three-door hatchback is a high performance of the Pulsar range was offered by the Japanese automaker Nissan which designed to compete with VW Gti, Subaru WRX and Mitsubishi EVO for Europe and Australia market. This was included in the homologation variant produced between 1990 and 1994 in order to enter the WRC under Group A rules at that time. As we've see here all looks good and perfect, body frame, interior and engine looks correct had limited modifications. This all-wheel drive Pulsar is said to run and drive great with a turbocharged 2.0 liter engine mated with a manual transmission only need 5 second from 0 to 100 kph and a right-hand drive specs. That was being offered at Craigslist about 2 months ago location in Vancouver, British Columbia, Canada for $10500.